Prince Harry and Meghan only joined Instagram a day ago but they have already smashed the record for the fastest time to reach one million followers within hours. 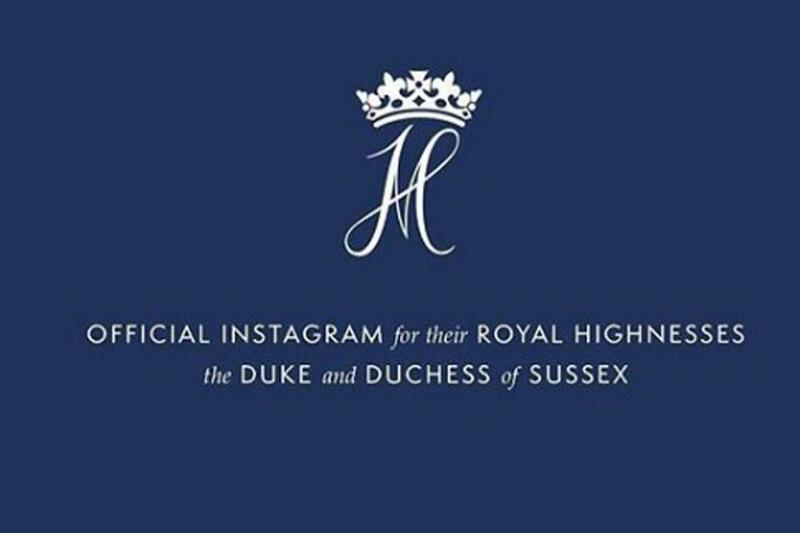 The Duke and Duchess of Sussex launched their own official Instagram account on Tuesday, which has been called @SussexRoyal. By Wednesday, the royal couple had gained 2.4 million followers and reached the one million milestone in just five hours and 45 minutes, Guiness World Record reports. In their first post on the social media platform, the couple said they would be using the account to share the work that drives them and important announcements. The move comes as the duke and duchess are splitting their households from Prince William and Kate. Meghan and Harry’s new household will be based at Buckingham Palace, while the Duke and Duchess of Cambridge will remain at Kensington Palace. The Duke and Duchess of Sussex will be shortly moving from Kensington Palace, to their new official residence of Frogmore Cottage on the Windsor Castle estate. The couple, who are expecting their first baby in the spring, said in their first post: “Welcome to our official Instagram; we look forward to sharing the work that drives us, the causes we support, important announcements, and the opportunity to shine a light on key issues. Alongside the post is a gallery of photos of the royal duo on engagements around the world, including on trips in Australia and Fiji. Some of the photos selected include the couple meeting royal crowds and Meghan warmly embracing two women at the launch of a charity cookbook for the victims of the Grenfell Tower fire. The logo of the couple’s Instagram account is a white version of the couple’s royal cypher – the entwined initials H and M below a coronet – on a navy background. Meghan’s best friend Jessica Mulroney was one of the first to follow the royal couple’s account and posted two love hearts on their post. Celebrities David Beckham and Gwyneth Paltrow are among some of the other 2.3 million followers. The couple only follow 23 people, including Kensington Palace, Clarence House and Princess Eugenie, who launched her Instagram account last March. Princess Eugenie posted a picture of Harry and Meghan on her own account with the message “Welcome cousins. @sussexroyal”. Former actress Meghan had her own personal Instagram account and a lifestyle website, thetig.com, but closed them down ahead of her wedding to Harry. The Instagram account has been flooded with thousands of likes and comments, as royal fans welcome the couple to the platform. One user wrote: Congratulations to both of you. A strong dynamic hard-working and compassionate team. Your first photos are a reflection of what your commitments will be. Another said: Welcome Your Royal Highnesses. You are both a breath of fresh air.